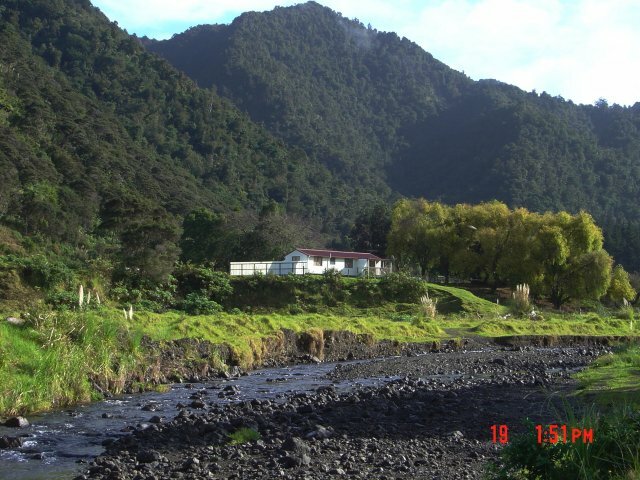 K Road Cottage is situated on our farm almost at the end of Kowhitikaru Road, 5 kms from Panguru. We offer peaceful, comfortable accommodation for the weary traveller, right here in the heart of North Hokianga... definitely the place to unwind. Well off the usual well-beaten tourist track, you have the opportunity to experience a way of life that is envied by many. Time seems to stand still here - we call it 'Hokianga time'. Be prepared to go without many of the things you may take for granted - sealed roads, concrete footpaths, movie theatres, exclusive shops, Sky TV, reliable cell-phone coverage and busy beaches. If these are what you are hoping to find, you are definitely in the wrong place! Instead, take a deep breath and relax. If your shiny car doesn't want to get dirty, let us show you around. There are so many places to see and things to do, you'll marvel that you are only a few hours' drive from Auckland. And what better location could you wish to stay in if you're wanting a holiday with a difference! Rangi Point - Drive up Windy Hill and enjoy the views of hills and harbour with Rawene township just visible in the distance. Admire the Anglican church built in 1878; Waiparera Marae; and finally at Rangi Point itself, you'll find a boat ramp, amazing boulders along the shore, the well-appointed community centre right on the beachfront and the original school building. Panguru - The hub of our area. Drive up the hill to Ngatimanawa Marae and gaze down at the koru-design layout of Te Kura Taumata o Panguru, Panguru tavern and health clinic. You will also see Nahareta cemetery and Waipuna Marae, which you will have driven past when you arrived. 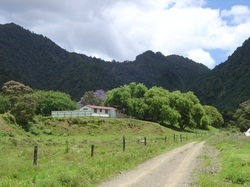 Motuti - Just over the hill from Panguru, Motuti is well worth a visit. It is particularly notable because the church is now the final resting place of Bishop Pompallier. Pawarenga - This is where you'll find the fabulous Golden Stairs walkway. Horse racing on the sand is a regular New Year's Eve event.